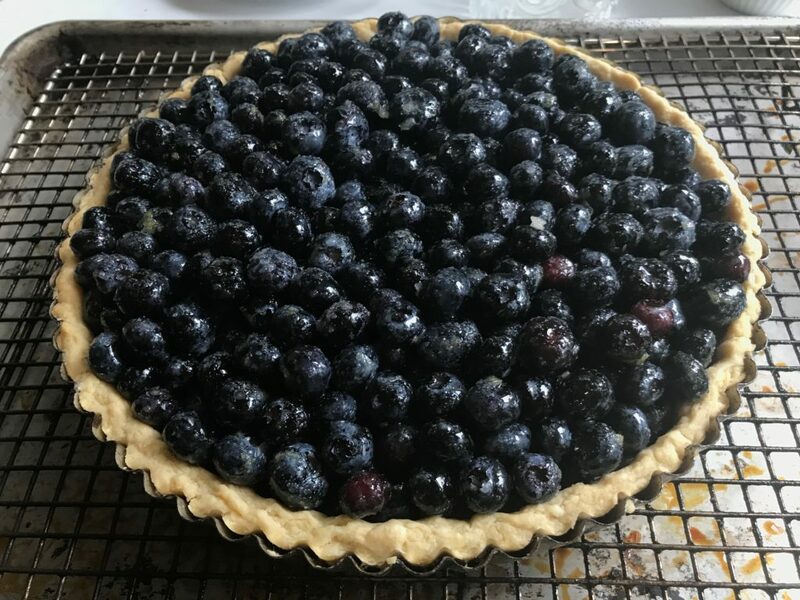 My first activity upon returning to American soil was picking 2 gallons of blueberries at Tulipwood, and making a blueberry tart. 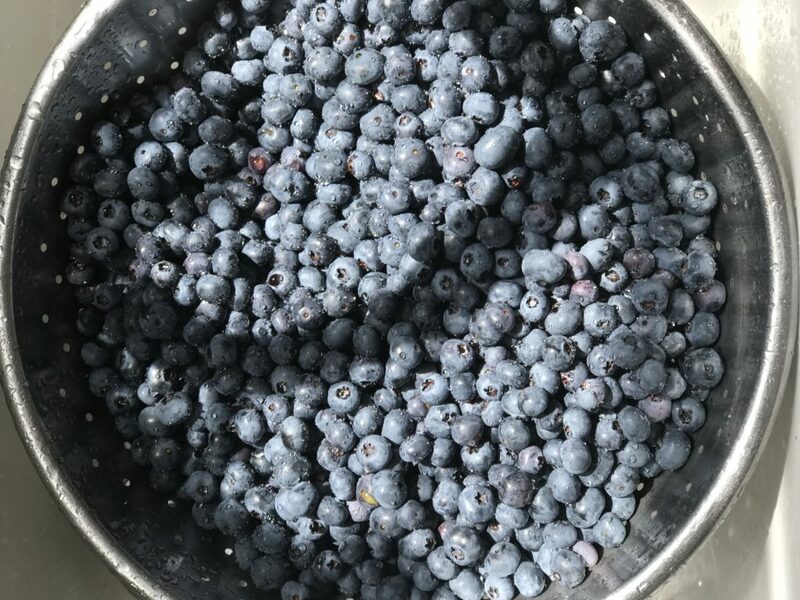 My dad has the most amazing blueberry bushes that he has been cultivating for years. And the timing worked out just right for them to be ripe for the picking the day I returned from my France Road Trip. We have an annual tradition of making Blueberry Pinot Noir Jam. But there were so many this year that it allowed us plenty of wiggle room to take handfuls and stuff them in our mouths. 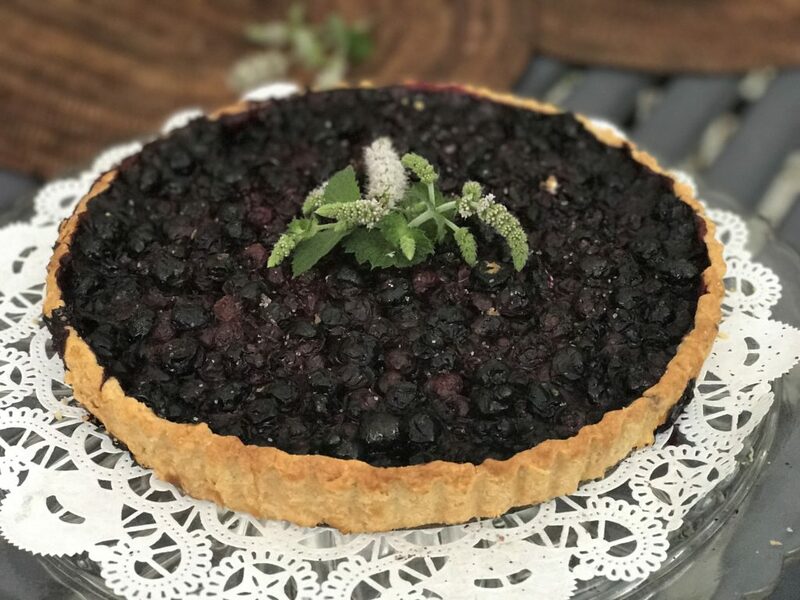 And to make a simple summery blueberry tart. 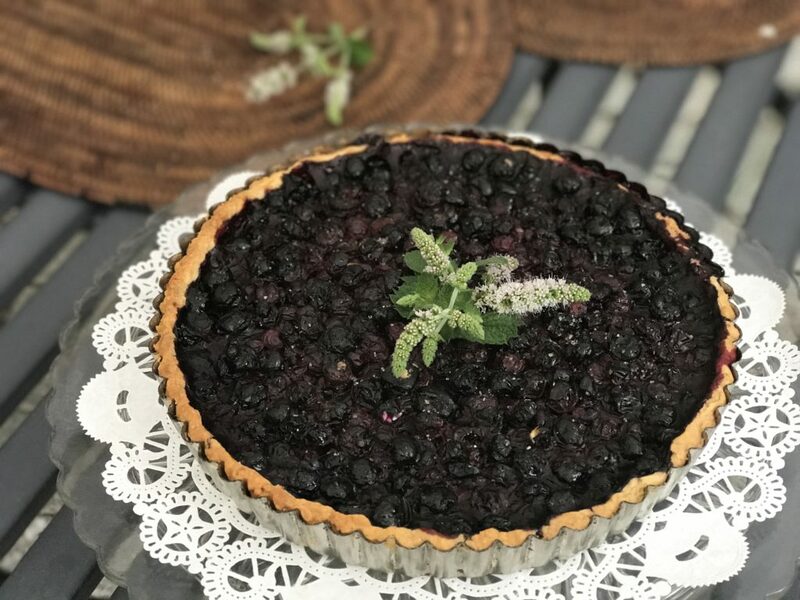 What I like about this recipe is that it is a little tart, not too sweet, which makes the blueberry flavor shine and also makes it rather addictive. Since summertime is the time for berries berries everywhere, give this easy recipe a try. It is a lovely breakfast as well as dessert. By the way… the secret to this is in the crust. Take the extra time to make it from scratch and it will knock your socks off. Mix the butter with the flour and salt in a bowl using a pastry cutter or knife, or do it in the food processor. Add a small amount of ice cold water a tablespoon at a time until it just all comes together. Use the least amount of water possible to avoid a heavy soggy dough and maximum flakiness. Wrap the dough in plastic and chill the dough in the freezer for 30 minutes. Roll out the dough between sheets of wax paper or plastic to keep from sticking. Carefully transfer to a drop bottom fluted tart pan (or other tart pan) and trim the edges. Preheat the oven to 375 degrees F. Prick the bottom of the tart shell all over with a fork and chill in the freezer while the oven preheats. Bake for 20 to 25 minutes, remove from the oven and cool completely. Next, in a large bowl combine the blueberries, lemon zest, corn starch, sugar and optional rose water and combine thoroughly with a spoon. 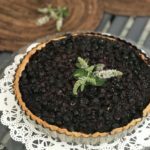 Add the berries to the tart shell and place back in the oven. Cook with berries inside for 60 minutes.